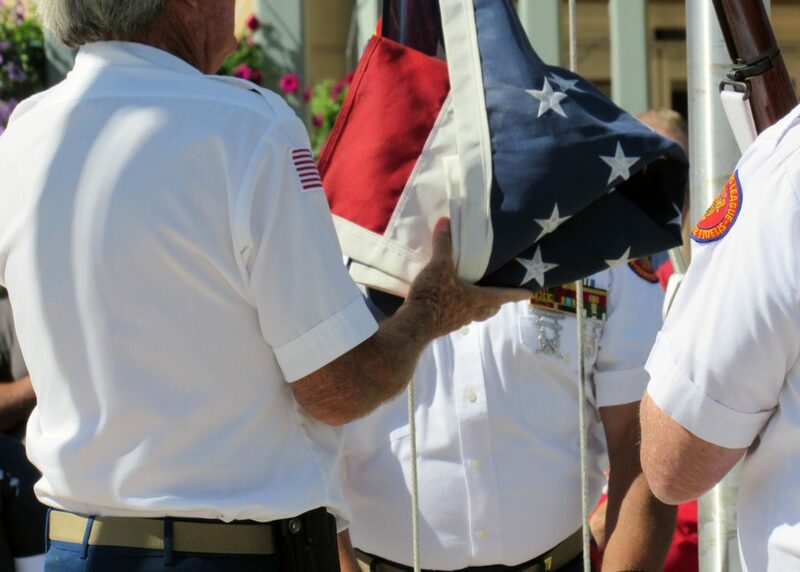 CEDAR CITY — One hundred years ago, the first “Flag Day” was observed following President Woodrow Wilson’s designation of June 14 as the official day to honor the “Stars and Stripes” of the United States of America. 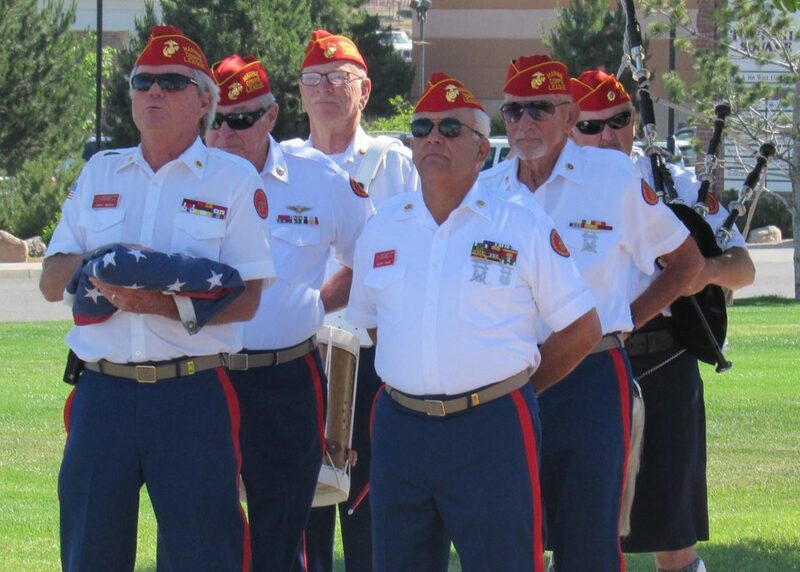 In recognition of the day, Cedar City Hospital hosted its first “Flag Day Celebration” Tuesday. On June 14, 1777, during the American Revolution, the Second Continental Congress adopted the national flag based on the “Grand Union” flag — a banner carried by the Continental Army in 1776 consisting of 13 alternating red and white stripes. 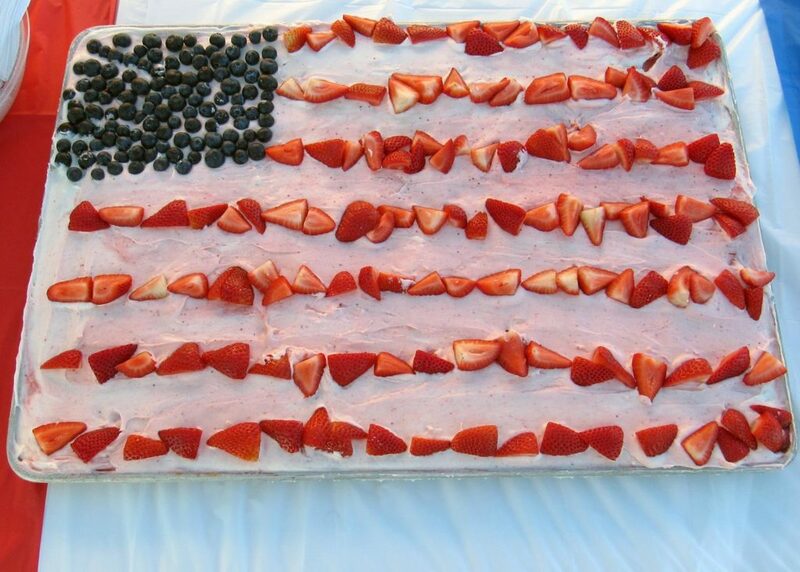 In 1916, Wilson, disheartened by the division of interests and drawing away from happy traditions, proclaimed Flag Day for U.S. citizens to rededicate themselves to the nation and stand with united hearts. 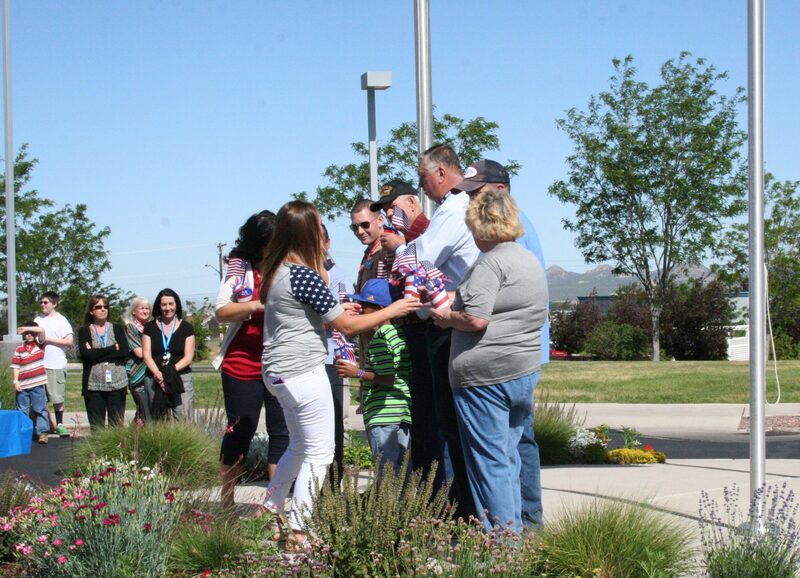 In honor of this event, Cedar City Hospital employees, their families and community members gathered Tuesday with their hands over their hearts for a Flag Day Celebration at the hospital’s flag pole. 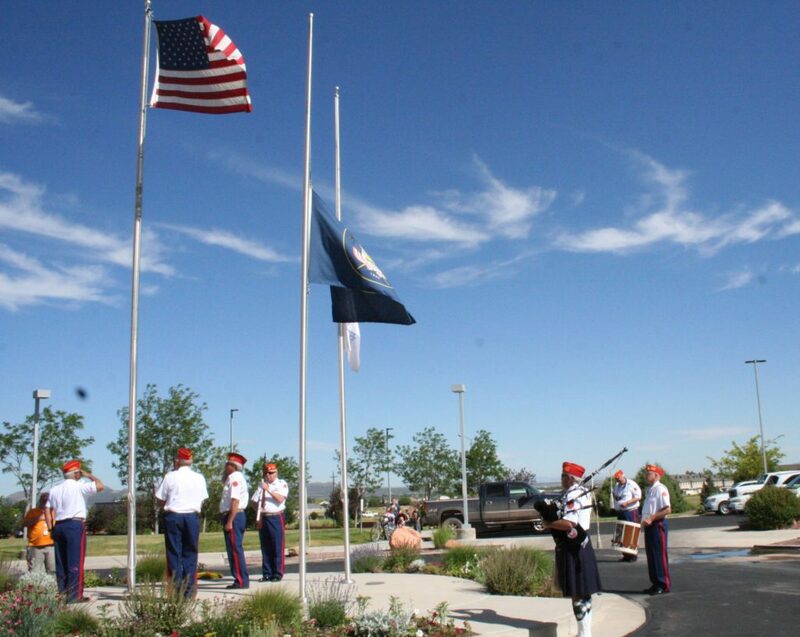 Celebrating and saluting “Old Glory” was the Utah Dixie Detachment 1270 of the Marine Corps League St. George, who volunteered their time to come from St. George to present the colors and play the bugle and bagpipes. 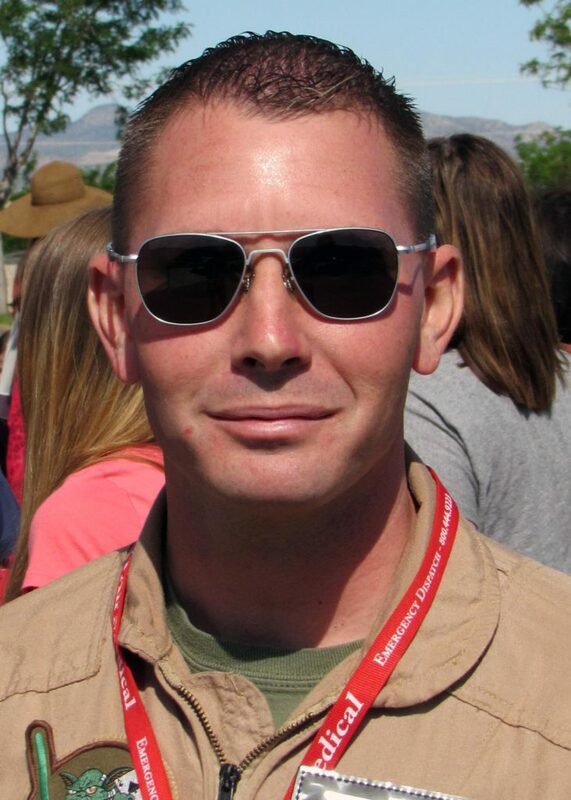 Care was taken to ensure all present and watching knew the proper salute and when to salute during the ceremony, William Fortune, of the Utah Dixie Marine Detachment, said. 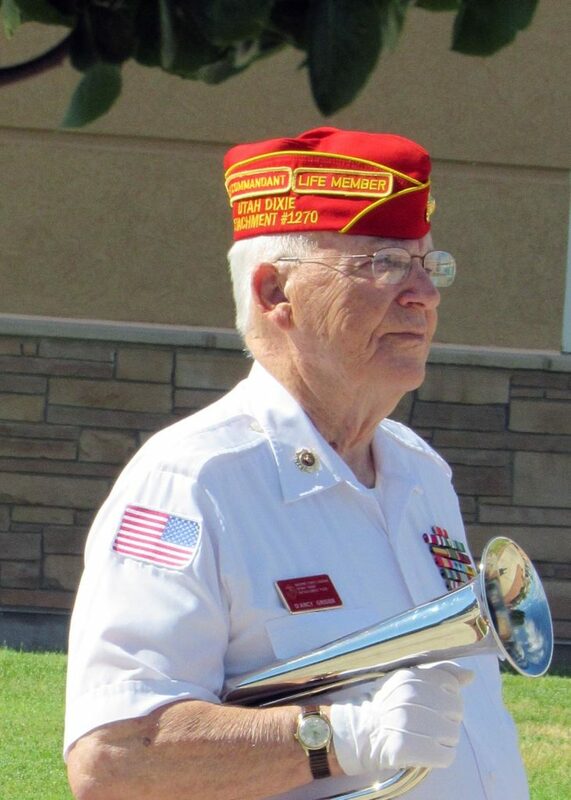 “The bugle sounded and up went the colors snapping smartly in the wind,” Fortune said. A crowd of nearly 100 had gathered with representatives of veterans and currently serving personnel. Many were represented by their families as those serving were on duty elsewhere, Fortune said. The national anthem was sung by Angie Kreitzer. 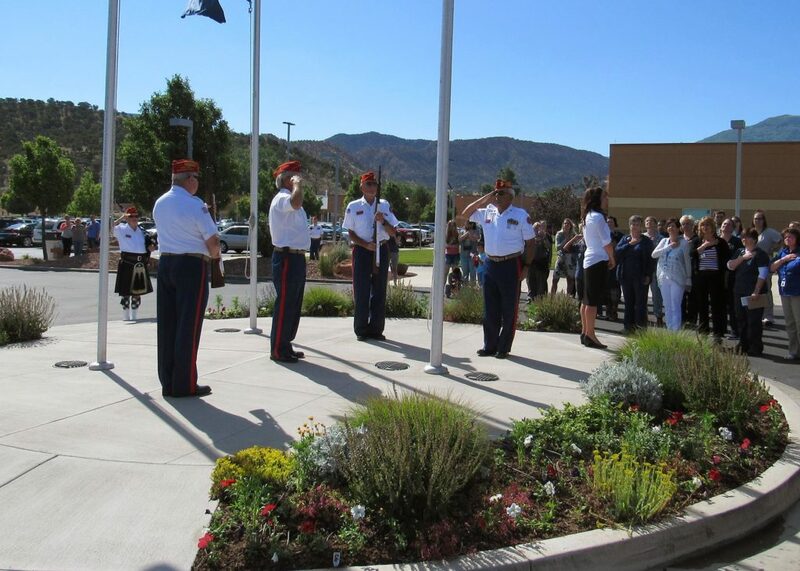 The Flag Day Celebration was the first in the history of Cedar City Hospital and was organized and executed by the hospital administration to inspire their employees and community members to celebrate and rededicate themselves to their country and remember those who have fought for the cause of freedom. 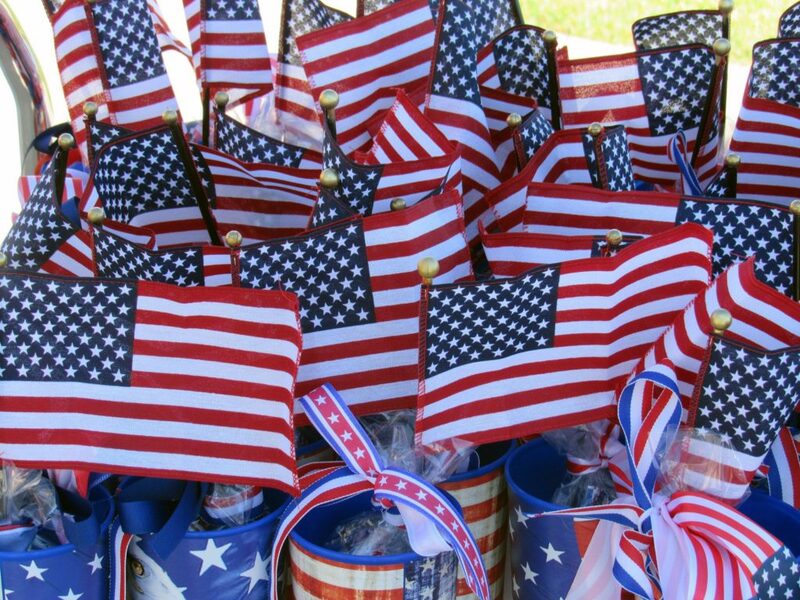 As part of the celebration, the administration also recognized those who had served or are currently serving in the armed forces with a small token of appreciation — commemorative U.S. flag drinking cups filled with patriotic-themed treats and a small flag. 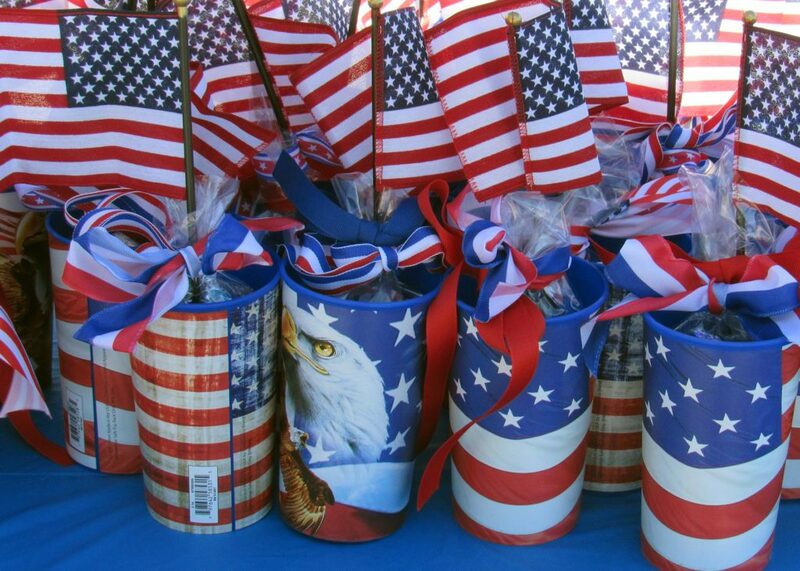 Other refreshments and patriotic music were also provided for the public to enjoy. UPDATED 4:15 p.m. with additional photos and input from William Fortune. Ed. Note: Cedar City News/St. George News Reporter Kaleigh Bronson is related to Cedar City Hospital Public Relations Manager Becki Bronson; however, she is not affiliated with Intermountain Healthcare.